English speaking African voice actors are sought after for a vast range of voice over projects. Africa may be one continent but it is home to 55 African states, with diverse cultures and an estimated 2000 spoken languages! The principle languages on the continent include Arabic, French and English. English is frequently used as a common language for communication between nations and for doing business. With many Africans speaking English as a 2nd or 3rd language, the reach of an English voice over can be huge. 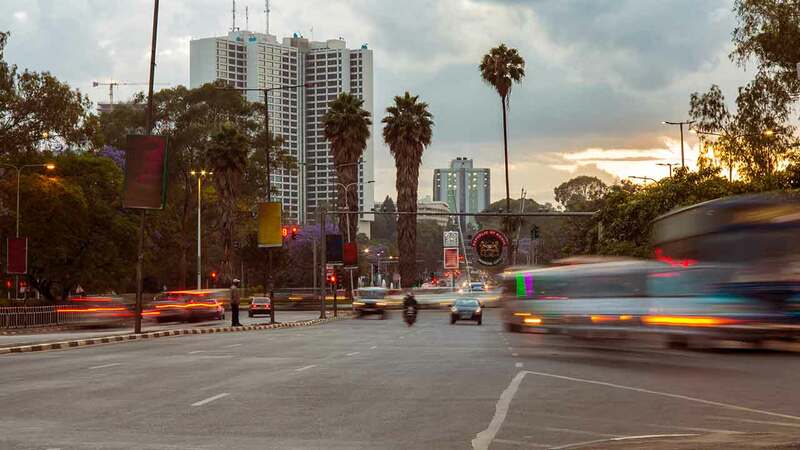 Africa is home to 1.3 Billion people (2018). Wow. Swahili (Kenya and Tanzania), Amharic (Ethiopia) and Yoruba (Nigeria and West Africa) are the top 3 languages spoken on the continent. English is only spoken natively by around 15 million people in Africa. Within African English is mainly used as a language of trade. 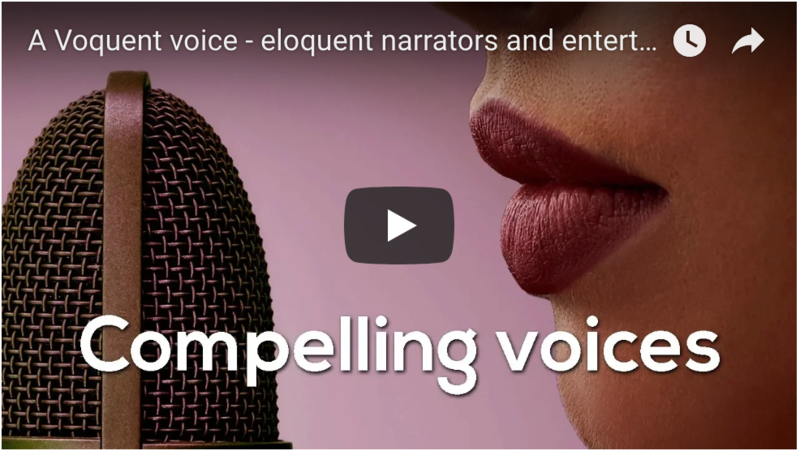 Outside Africa, many charities and businesses want to identify themselves with the continent by using an authentic African accent voice over for their video and multimedia projects. The most important thing is to know the desired country of origin. At Voquent we'll always try to find an English speaking voice artist native to the target country, but if this is not possible we can widen the search to find a voice talent from the wider region. E.g. North, West, East or South African countries tend to have shared languages and accents. 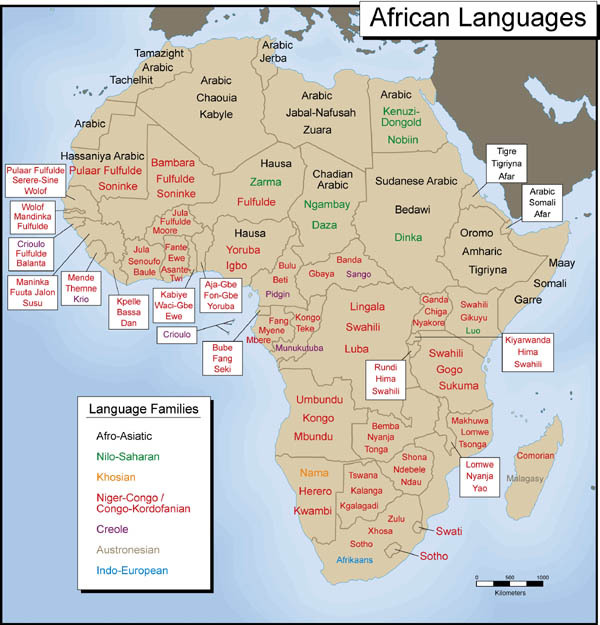 We've included a map of Africa with the primary languages spoken in each region. On this page we've featured a selection of voice actors speaking English with a variety of African Accents. Visit the search page to hear voice actors with many other accents including: British-RP, Indian, International English and Foreign Accents. Why select a voice actor with an African Accent? Charity appeals, raising awareness of issues in their home country instantly encourages empathy from listeners. Training content and eLearning material for the African speaking workforce. 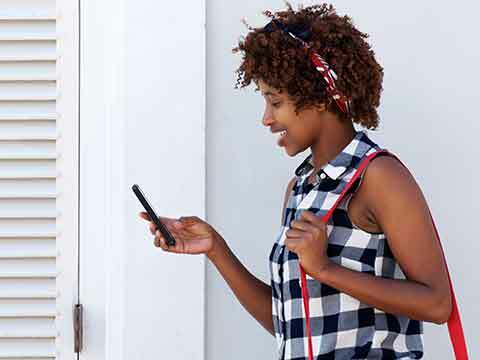 Commercials and radio advertisements to reach the fast growing and savvy African consumer.